Identify the first pitcher to strike out 300 or more batters after 1900. Seven switch-hitters have hit 350 or more home runs. Which one of the following switch-hitters did NOT hit that many? Match each player with his college. Mike Trout won the AL MVP Award in 2014. Identify the two Angels who won the MVP Award prior to him. Match each player on the left with the pitcher off whom he hit his first HR. Match each 2015 manager with the primary position he played in the major leagues. A position may be used in more than one match. Match each player with the All-Star Game moment. (A) Hit the first inside-the-park home run in All-Star Game history. (B) Bowled over by Pete Rose to score the winning run. (C) Struck out five future Hall of Famers in a row. 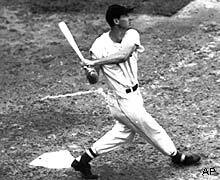 (D) Surrendered the first All Star Game HR to Babe Ruth. 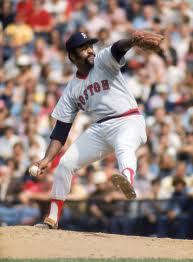 (E) Threw his Eephus pitch that Ted Williams walloped for a HR. (F) Hit the light tower above the RF upper deck in Tiger Stadium. (G) Won the game in County Stadium with a 12th inning HR. In 1955, Detroit writers referred to two young players on the Tigers as the "K & K Boys." Identify these two phenoms. Which of these statements are true? Note: None or more than one may be true. (A) Since 1901, no C has led either league in doubles. (B) No rookie has ever led his league in HRs. (C) No P has ever hit more than nine HRs in a season. (D) No player has ever hit more than 30 triples in a season. Match each player with the category in which he led the Majors in 2013. Match each winner of the Rookie of the Year Award with his description. (A) First rookie to win a league batting championship. (B) First rookie to win a batting title, Rookie of the Year, and MVP in the same season. (C) Only rookie in history to steal 30 or more bases and club 30-plus homers. (D) Played LF, RF, 3B, and 1B his rookie year. (E) First player to capture Rookie of the Year honors and the A.L. MVP Award. Who was the last ML P to lead his league in victories three years in a row? In 2012, Buster Posey became the first NL C to win the batting title in quite some time. Who was the last Senior Circuit backstop to end the season #1 in batting average? In December 1941, a major league franchise was all set to move to California with approval from the owners of its league. However, Pearl Harbor and the U.S.'s entry into World War II cancelled the move. Match each pitcher with his description. (A) I held the record of giving up 505 career HRs until 2010. I was a 20-game winner in six consecutive seasons. (B) I was not only a 20-game winner three times, but a 30-game winner once also. Two seasons after winning 24 for an AL team, I lost 22 with another team. 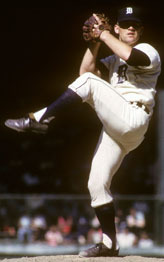 (C) In 1972, I went 27-10 and won the Cy Young Award. The next season, I finished 13-20. (D) I caught the eyes of fans in 1968 when I went 21-9 with the Indians only to finish 9-20 the next season. I compiled a 229-172 record over 19 ML seasons. (E) I won 21 games but lost 20 in 1979, one of three 20-game winning seasons. I also lost 20 another year as well. Match each current team with its former nickname. Frank Robinson was the first black manager in the major leagues for Cleveland in 1975. Who was the first black manager in the National League? Match the player's last name with his nickname. From 1970 to 2004, the SS position for the Cincinnati Reds was manned by just two players. Identify both. Which one of these catchers was not a switch-hitter? With the retirement of Tony LaRussa following the 2011 World Series, who became the longest tenured manager with one team in the major leagues? Which one of these relief pitchers did NOT win the Cy Young Award? Bobby Cox retired after the 2010 season. In his career as a manager, he wore #6 in tribute to the player who was his idol growing up. Identify that player. The Aaron brothers combined for 2,391 RBI during their careers with Hank totaling 2,297 and Tommie 94. Which brother duo ranks second with 2,155 RBI? Which player holds the record for most games played, all for one manager? Which one of these players was not a switch-hitter? Which ML pitcher won the most games from 2000 through 2009? Which major league team drafted John Elway in the first round of the 1981 draft? 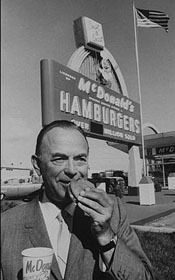 What team was saved from being moved to another city when they were bought by Ray Kroc, the founder of McDonald's? Jamie Moyer of the Philadelphia Phillies married the daughter of a famous sports personality who is associated with a different sport than baseball. Who is Jamie's father-in-law? In 2008, Tim Lincecum became the second Giants P to win the Cy Young Award. Who was the other one? What three NL teams did Joe Torre manage before managing the Yankees and now the Dodgers? The picture at the left shows the DiMaggio brothers, Dom and Joe. What was the occasion of the picture? Name the oldest current franchise that has never had one of its pitchers throw a no-hitter. The Seattle Mariners have played in the post-season four times in franchise history. The manager for all four of those seasons was the same man. Identify him. Match each team with one of its previous nicknames. Who was the first African-American manager in the major leagues? Which major league team won 74 more games than any other club in the 1990s? 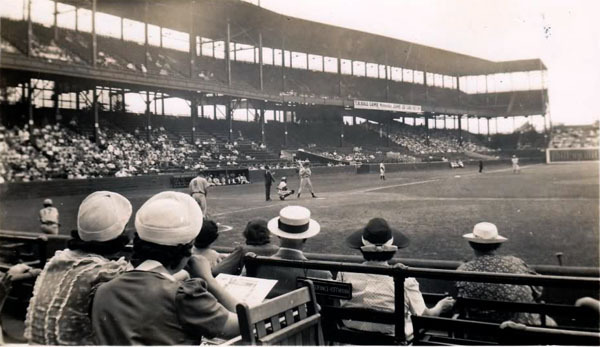 What was the original name of the Houston Astros? What player used a 48-ounce bat he called "Black Betsy"? Who were the Bash Brothers and what team did they play for? One of the most famous games in baseball history was the third game of the 1951 National League playoff between the New York Giants and the Brooklyn Dodgers. Ralph Branca gave up the winning home run to Bobby Thomson in the bottom of the ninth. Here are four questions about that game. Which pitcher did Branca relieve? How many outs when Thomson hit the homer? Who broke his ankle sliding into third right before the home run? Who was the game's winning pitcher? The Brooklyn National League franchise used the nickname Dodgers in 1911-12 and then permanently starting in 1932. What was the nickname of the team in each of the following years? Match each player at the left with his nickname at the right. Going into the 2008 season, the franchise with the highest winning percentage in its history was, of course, the New York Yankees at .567. Which franchises ranked second and third in winning percentage? Here are some questions about switch-hitters. Who was the first switch-hitter elected to the Hall of Fame? This switch-hitter was the NL MVP in 1985 and twice won the batting championship while playing OF for the St. Louis Cardinals. Who is he? Chipper Jones is third in career HRs by switch-hitters. Who ranks first and second on that list. The man who is #4 in HRs by switch-hitters played from 1981-1999 as an OF and then a DH. Identify him. Through the 2007 season, there have been 43 hitting streaks of 30 or more games. Only two players have accomplished this feat twice. Who are they? The 1961 World Champion New York Yankees boasted three catchers who hit over 20 HRs that season. How many of the three backstops can you name?